This past year, I took a course from Craftys called “Celtic Cables” (affiliate). While the project itself is still in-progress, I watched the course in its entirety. I’ve also taken a second course, on cooking, that I purchased. The Craftsy classes are awesome for building skills and learning new techniques. In the Celtic Cables class, I learned several interesting knitting techniques. These included how to keep tight purl stitches when doing a lot of cabling, as well as how to drop back, and re-knit, a miss-crossed cable, and how to do fitted shaping within a cable pattern. I found the re-knitting technique very helpful when knitting cabled fingerless gloves, as I’d always forget which way the cables went on the second glove! I had one day where I probably re-knit a good eighth of the cables I made, particularly the central 8 stitch cable. But the re-knitting technique saved me pulling back a good 2 inches of work, or just deciding to completely restart the glove, a frustration technique which I’d resorted to in the past. In general, the courses I’ve taken are well taught, and professionally videoed. The video on Celtic Cables was very easy to follow, and the little extra ability to ask the instructor questions, get answers, and browse the questions and answers from other students, was also essential in building more knitting skill. Disclaimer: I received the Celtic Cables course for free from Craftsy for the purpose of review. This review is my honest opinion after watching the course. Craftsy has classes on more than just knitting and cooking. They have weaving, sewing, quilting, crochet, spinning, photography, and many, many more categories with numerous course options in each one. The only category that they do not have, much to my own disappointment, is one on dyeing, but they do have all other standard handcrafts represented. 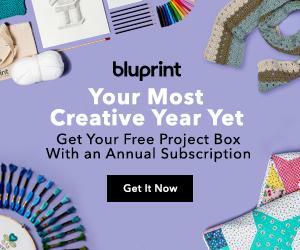 While the majority of Craftsy courses are paid, there are also several free courses available so that you can check out the platform and make sure learning on video will work for you. For many of the handicraft classes, the materials are also available on Craftsy, making it a one-stop-shop for both the course and project. If you’re like me, however, your first thought may well be “now, how can I use my stash for this” when looking at a new project. Though that does not stop me from browsing the shiny material section and fantasizing what I’d make out of some of those awesome fabrics and fibers. Sewing is a fun, and fairly straight forward craft. However, different fabrics and fibers require slightly different technique and preparation. If you’re like me, and end up traveling, hand-sewing may become a favorite past-time due to the ability to have portable projects. Though all sewing skills are very useful. If you’re looking to improve your wardrobe sustainability, clothing construction and shaping might be useful. After all, if you are going to put in the time, you may as well make your clothing as tailored as possible. I have played with a little bit of embroidery, and find it to be a fun technique for certain applications. However, I have no patience for anything too complex. I enjoy creating my own pattern ideas, and using whatever stitch I can remember to fill them in. While I’ve talked a little on basic repair skills, to keep your clothing happily motoring on, it is always worth reviewing. From small spot repair, to massive mending, to simply sewing on that stray button, there are plenty of basic repairs that can help you keep your wardrobe happy and lasting. Refashioning and up-cycling are also super fun to do, and a simple range of skills can turn out some awesome, and stylish, new clothing. Refashioning has the added benefit that it won’t break the bank, and is one way to add sustainability to your wardrobe! I’ve talked about warping a Rigid Heddle loom, and creating your own scarf with saori weaving techniques. However, there is a whole wide world of weaving out there that goes far beyond rigid heddle looms, even if those are the simplest and most fun to play with. More advanced pick-up techniques, and pattern techniques for the rigid heddle loom might be just the ticket for advancing deeper into the woven mystery of fabric creation. Though in all honesty, my favorite thing about rigid heddle weaving is that the loom I use gives me the excuse and freedom to use knitting novelty yarns! Earlier I mentioned the Celtic Cables course, and how it taught me numerous things about cables and even some useful things about knitting in general. If you’ve only rarely knit, or crochet, and want to re-engage in this transportable craft a pair of needles, or crochet hook, and a ball of yarn is a good way to start! 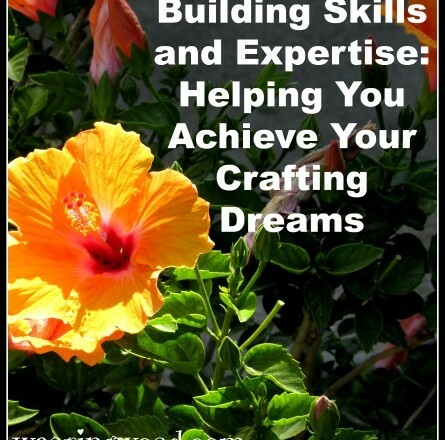 There are both basic and advanced knitting and crochet courses on Craftsy. And a tiny bit of searching can find an awesome one that is perfect for advancing your expertise level and reaching your creative goals. For knitting, there are beginner options, ones dedicated to socks, sweaters, and even fixing all those annoying knitting slips that can sometimes plague the best knitters. There is one course I should probably take, knitting pattern notation, so that I can share the fingerless gloves I’ve been working on. One of the knitting courses that I am eyeing is the “Simply Stunning Colorwork” course. I love working with stripes, and learning some more color-work knitting techniques would be awesome. I can already think of some projects I would love to do with added color-work, like fingerless gloves with matching hats! For crochet, there are beginning crochet, crochet dedicated to creating cute critters, cable crochet (wow! ), jewelry making, and even one on creating awesome-looking free-form crochet. There is even a tatting course hidden among the crochet courses! I tried tatting when I was about 13, but my fingers never quite managed to get the muscle memory to do it. But I have a friend who uses tatting to create absolutely awesome looking projects. I find it fascinating, I’ve just never gotten back around to trying it. Maybe I should. For me, spinning on a drop spindle was the craft that opened wide the whole door to fiber arts and fiber art techniques. A little spinning, with just a drop spindle and a bit of fiber, devolved into fiber tools in half the rooms of the house, a spinning wheel, two looms, and untold pairs of knitting needles everywhere. Not to mention the innumerable half-finished knitting, embroidery, spinning, and sewing projects that are still waiting to be finished. My absolutely favorite thing to do with spinning is to create art yarn, or novelty yarns. They are fun, funky, fast, and awesome to work with in weaving or knitting. Though sometimes I’m sure I have more fun creating the yarn than I do working with it and wearing it. If you spin, art yarns are another thing to showcase in saori weaving. Here in Canada, it is still winter and the days are still short. Darkness comes early, and the best thing to do on long winter evenings is create something awesome. 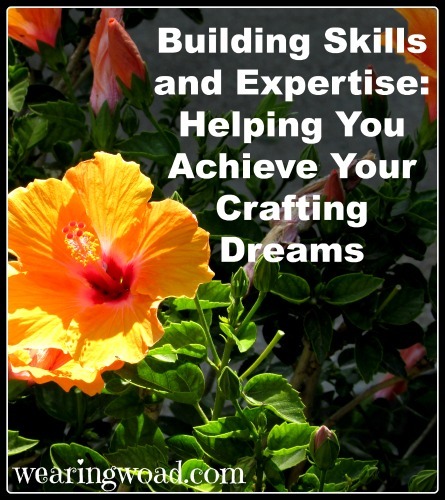 Whether you are already an expert in your chosen craft, or just want to learn something new to stave off winter boredom, I hope you found the information presented here helpful. Remember, even if you can’t get a Craftsy course currently, there are several free courses covering the majority of craft skills taught on Craftsy. These free classes are awesome to check out, and to help you learn the platform. What are some of your craft and fiber related goals this year? Will any of these options help you reach your goals?